Cam came to know Jesus Christ as Savior at age 25 while living in South Florida, a transplant from his native Michigan. During the following two years he met and married Carol (Thompson) at Spanish River Church in Boca Raton, where their twin daughters were baptized two years later. Shortly thereafter, from Florida Atlantic University, the Lord graciously provided a conclusion to college for Cam ("I crowded four years of college into fifteen, at five different schools!") . God called them to seminary immediately, and upon graduating with an M.Div. degree from Columbia Int'l. University the Kirkers received calls to church-planting in both South and North Carolina where Cam has served as Organizing Pastor, and Pastor for over twenty-six years. 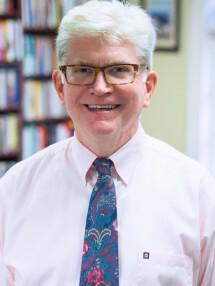 He has also served as a missionary and Executive Director of H.I.S. International in Columbia, SC. Relying upon the Holy Spirit for strength and wisdom to live and proclaim the Gospel he came to LPC as Assistant Pastor in June of 2012 with a desire to be found faithful, useful and delightful in God's eyes and in the hearts of the congregation and the wider community of Lexington. Dave was born in Greenville SC and grew up in Durham NC. 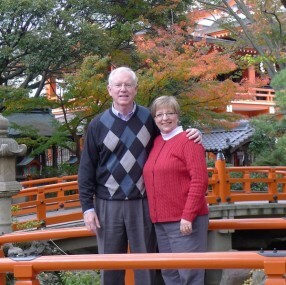 Married to Barbara, he has two children, Erin and Dave, and 3 grandchildren, all of whom live in Pittsburgh PA. Dave and Barbara were missionaries in Japan from 1988 to 1998. 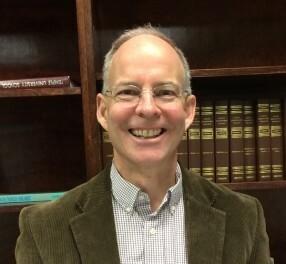 Then he was Associate Pastor at Lexington Presbyterian for 15 years, and returned to Japan for two years. They returned to the US in January of 2014 and Dave now serves at LPC as Assistant Pastor with half time given to pastoring and half time as Business Administrator. Chuck was born and raised in Monroe, North Carolina, the youngest of four children. Jesus was not known and enjoyed in his home. He actively pursued his own, sinful agenda through his teen years and then met Jesus while studying engineering at the University of North Carolina at Charlotte. Understanding that Jesus died for sinners and rose again, he believed and was reconciled to God. He met Shelly through Intervarsity Christian Fellowship and, upon graduation, they married. The Lord gave them four children: Wes, Kaitlin, Ben and Anna. They are also privileged to have a daughter in law, Sara, and son in law, Kent. There are now three beautiful grandchildren Cruz, Caris and Liza. Over the last three or so decades Chuck has been an engineer, pastor, physician, and missionary. He and Shelly have lived in Charlotte, NC; Philadelphia, PA; Lexington, SC and Lohutok, South Sudan. It should be noted that Shelly came to the prospect of marriage with two exclusionary filters. She would not accept aspiring doctors or pastors. The best laid plans of mice and young ladies…. In 2015 they returned from church planting in South Sudan and Chuck joined the staff at Lexington Presbyterian Church. His passion is that you would know the mercy of God through trusting in Jesus, who was crucified for sinners and raised to life. Living in this mercy, you would then honor God in all of life, enjoying him and delighting in his presence. May this same joy and delight be taken by us to all peoples in all nations so that the earth will be filled with the glory of the LORD as the waters cover the sea.